FHI 360 is a nonprofit human development organization dedicated to improving lives in lasting ways by advancing integrated, locally driven solutions. Our staff includes experts in Health, Education, Nutrition, Environment, Economic Development, Civil Society, Gender, Youth, Research, and Technology; creating a unique mix of capabilities to address today’s interrelated development challenges. FHI 360 serves more than 60 countries. 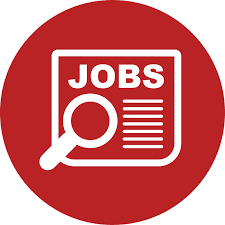 Currently, we are seeking suitably qualified candidates to fill in Data Base Manager- USAID Boresha Afya – Southern Zone Position for USAID Boresha Afya Southern Zone Project. In collaboration with regional teams, developing, implementing and monitoring supportive supervision and Ql initiatives for improved data management. Ability to intervene with staff with diplomacy and firmness- Ability to travel to implementation districts a minimum of 50%. FHI 360 has a competitive compensation package. For detailed information, interested candidates may either submit their application Curriculum Vitae (CV)/Resume, Photocopies of Certificates and Names and Addresses of three (3) referees to Email: tz_recruitment@fhi360.org or visit FHI 360’s Career Center at www.fhi360.org/careercenter to register online, and to submit CV/resume and cover letter. FHI 360 is an Equal Opportunity Employer.